ECOMM CURRENT OPENINGS: Opening sales officers and Sales Officer in FMCG-Tea. Freshers Welcome. 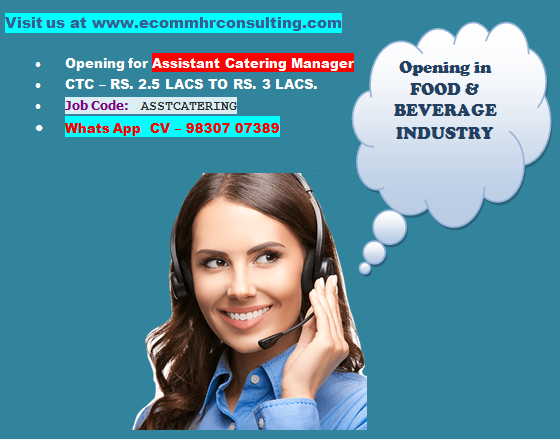 Opening sales officers and Sales Officer in FMCG-Tea. Freshers Welcome. Take Home Salary - RS.7000/- P.M to RS. 14000/- P.M plus daily conveyance allowance. DA - Rs. 75/- to RS. 150/- Per day. Functional Area: Sales and Marketing. Area for Distribution: Kolkata Only. Our client is a manufacturer and exporter of Tea. It is a Limited Company, having its head office in B.B.D Bagh Kolkata.